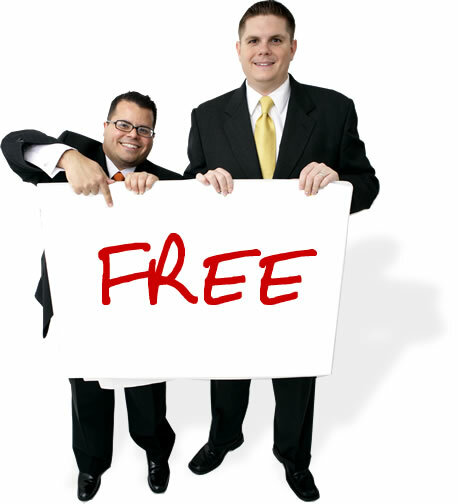 FREE BROTHER Service and Installation for OC Businesses! 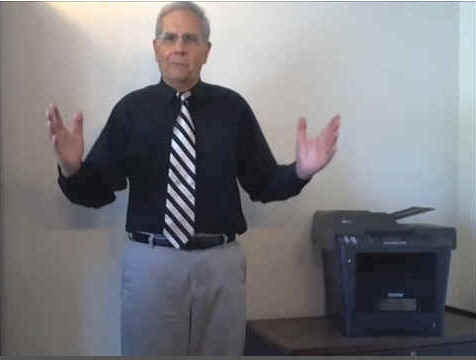 Call Owner Ken Nagele Today for the Answers to Your Copier, Fax or Printer Questions. We'll Help You Fix Your Machine Over the Phone for FREE! 714-532-2679 24/7. Pay by Credit Card Through PayPal. 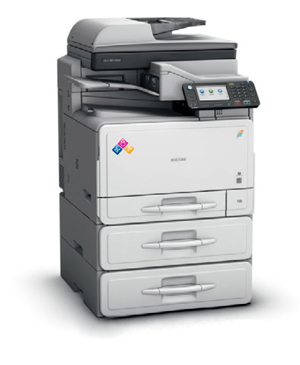 Visit Our Modern Huntington Beach RICOH Showroom for a Free Demonstration. Click on "Pay Now" above. Fill in the invoice total under "Item Price". Then click on "Pay with a debit or credit card...", at the bottom right. Click on "Pay" to complete the transaction. You do not have to be signed up with PayPal to use this service. PayPal Payment Not Going Through? Print out the above instructions and try again. The process should take about 60 seconds. 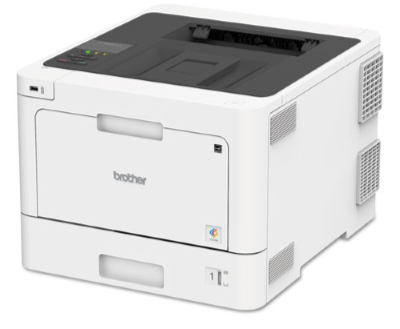 BROTHER & RICOH Copier, fax and laser printer repair service anywhere in Orange County and Long Beach, CA, by honest, competent, factory trained technicians. 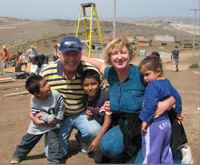 Aliso Viejo, Anaheim, Anaheim Hills, Brea, Buena Park, Cypress, Costa Mesa, Coto de Caza, Dana Point, Fountain Valley, Fullerton, Garden Grove, Huntington Beach, Irvine, Los Alamitos, La Habra, Laguna Hills, Laguna Niguel, Lake Forest, Mission Viejo, Newport Beach, Rancho Santa Margarita, San Clemente, San Juan Capistrano, Capistrano Beach, Laguna Beach, Tustin, Yorba Linda, Orange, Santa Ana, Seal Beach, Stanton, Placentia, Villa Park, Westminster, LA, Orange County, Los Angeles, Los Angeles County, Long Beach, Santa Fe Springs, Los Alamitos. Now serving Corona, Chino, Chino Hills, Long Beach, Riverside, Signal Hill, Upland, Rialto, Fontana, Ontario and San Pedro, California. Lines on copies, but not on prints? Clean the small glass with alcohol. Can't print with USB connection after Windows 10 update? Our research shows that the discount offered by STAPLES Advantage for current OEM toners and drums is only 7%. And not all products are available. On compatible toners and drums (which STAPLES refers to as "Environmental Solutions"), we offer up to 50% off. STAPLES doesn't even offer compatible products on many of it's toners and drums. And, we'll beat any local competitive price. Large selection of new and refurbished equipment. Speedy communications with the owner. Call us. We have many viable solutions for your old records — and the ones you have yet to make. Well, it is simple. These abbreviations stand for the maximum size of paper you can run through the machines. 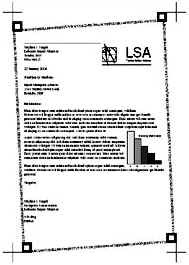 A4, the new popular size, means you can run only letter and legal size (8½X11 and 8½X14). A3 means you can run up to ledger size (11X17). How many customers need ledger size? About 6%. And most of them don't need it all the time. In fact, for the few times it is needed, one could simply go to any Staples, Kinkos, UPS or FedEx store to run them off on their A3 machines. 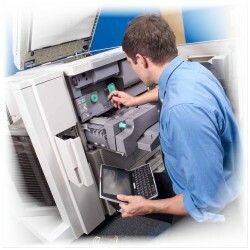 If it is a print job, just save the files to PDF and copy the file to your memory stick. Most newer copiers have a USB port for memory stick printing. So, why should you be concerned about all of this? Pricing. The A4s cost a lot less. They are much smaller (since they don't need to do 11X17) and therefore are less expensive to build. And they run just as fast and offer almost as many features. There is only one other reason to consider an A3 machine. If your business has a need for heavy duty finishing (large volume stapling, punching and offset stacking of sorted copies), then you need to stick with the A3 machines. While many A4 machines offer an optional internal finisher for stapling only, they are not as heavy duty as the A3 machine's external finishers. There is another point to consider in the A4/A3 selection. 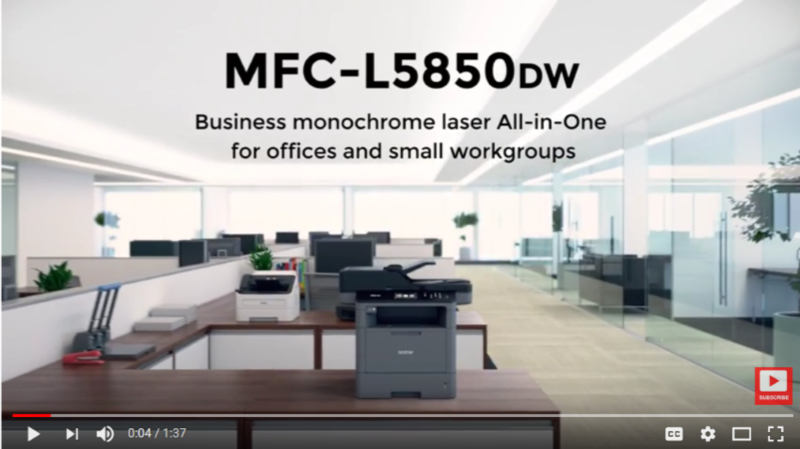 While both black and white and color machines are offered in both formats, the option of color now becomes more attractive because of the low A4 color machine pricing. Even if you don't need to run that many color copies, in some (but not all) cases it can still be advantageous to purchase the color version. Call us for advice on what equipment would be best for you. Ken's advice to put two multifunction machines side-by-side on our medical office counter was right on. 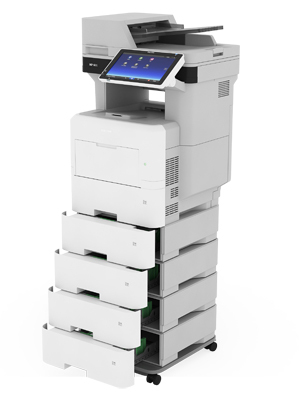 Now two people can print, copy or scan from either machine at the same time. And if one should ever go down, we simply use the other machine and don't miss a beat. Both machines will also last twice as long now as they are each doing half as much work. We have not only done business with COPY TECH COMPANY since 1985, but have referred our printing customers to them, too. Their low supply prices and prompt service are a rarity these days. 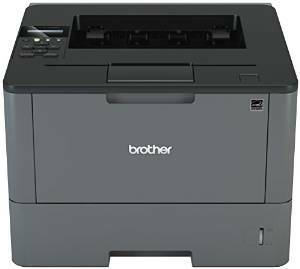 After a less than satisfying experience with an HP printer from Staples, I purchased a multifunction BROTHER from the COPY TECH COMPANY. The machine exceeded my expectations in copying, printing and scanning. The free installation and computer advice alone was worth the machine price of only $395. Thanks, Ken! Thank you, Ken, for shipping us the American made color toner for our BROTHER multifunction machine. Even though we are halfway across the country, you provided us with quality toners at a significant price discount and with free shipping, too. 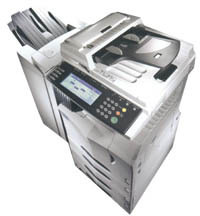 COPY TECH COMPANY has kept our school's high speed RICOH copier functional for many years. It is the second one we purchased from them and it just continues to perform! Our old RICOH copier recently gave up the ghost at our busy law office. Ken's recommendation for a new RICOH copier was spot on. Not only is it faster than the old one, but is much more economical to operate. I highly recommend the COPY TECH COMPANY! 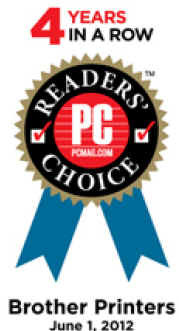 Our longtime family owned commercial roofing business has been using the COPY TECH COMPANY since 1985. Ken's recommendations for heavy duty and light duty equipment has always been good. The office is never "down," as Ken has provided the backup equipment necessary to keep us working at all times. BROTHERS for the Equivalent of a Few Month's Lease Payment? These are the multifunction machines that the other dealers don't want you to know about. They are fast, heavy duty — and inexpensive. Why have one large, expensive machine when one or more low priced multifunction machines will do it all? Put one in each cubical — for less money than one big central machine. 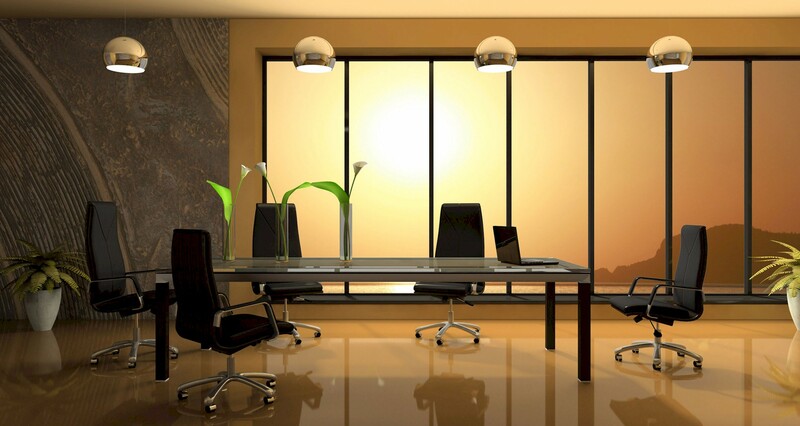 Your employees will never have to leave their desk area. Save money on our 30%-off toners and drums. 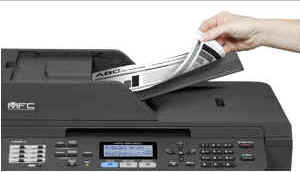 FREE Set-Up & Installation ($125 extra at STAPLES) — Includes network and scanning installation. 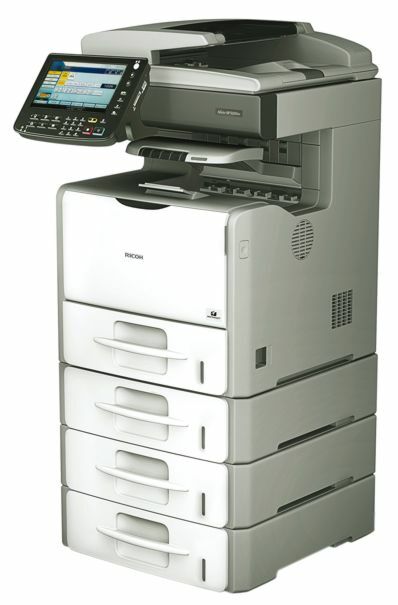 These machines will hold up under heavy use (recommended up to 3,500 copies permonth) and will do everything your present machine will do, except 11x17 and stapling. 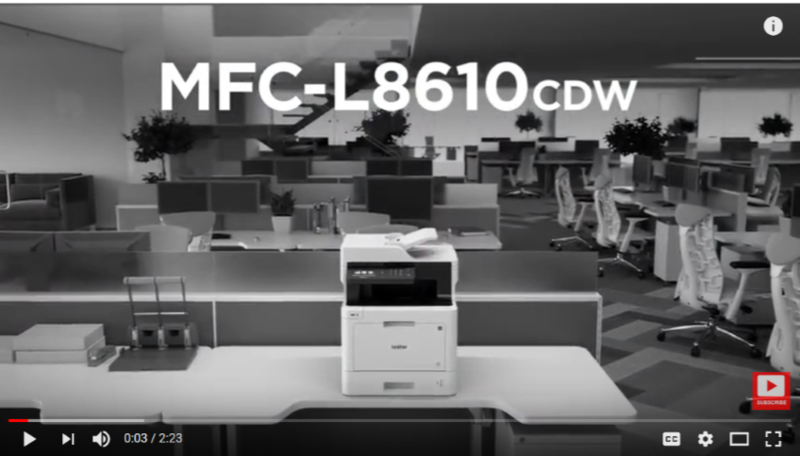 At this price, you can place several machines throughout your office. With several machines to choose from (and all accessible through your network), your office will never be "down". This is the future of office equipment — here today! What Are the Real Yields? Realistically, however, you might receive as little as 40% of the advertised yields (using either OEM or generic toners), especially if images are being reproduced. Also, your average monthly toner usage can vary by as much as 20%, depending on the page content of the copy or print jobs for that month. Is there a difference between the OEM toner yields and the generic toner yields? The original equipment manufacturers (OEM) would like you to think so. One of our suppliers did a customer satisfaction survey by brand. They found that customers using Okidata and Samsung toners were more satisfied with the OEM than the generic or remanufactured. But, for all other brands, the generic or remanufactured toners won — hands down. For the money, remanufactured or generic toners are inexpensive to use and are environmentally friendly. Read this article on Which is Better? 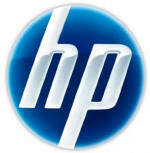 HP vs BROTHER — Which is Better? Shown with optional paper trays. 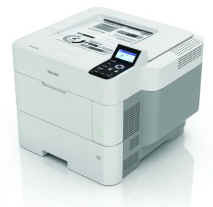 Low Lease Rates on New and Refurbished Machines. Prices include Set-Up, Delivery, Key-Op Training and 90 Day Warranty. 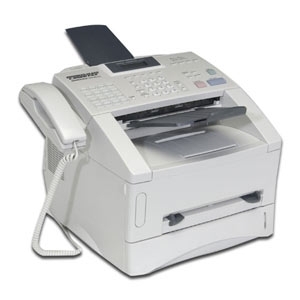 Adding a Fax to a new machine is usually $250-600. 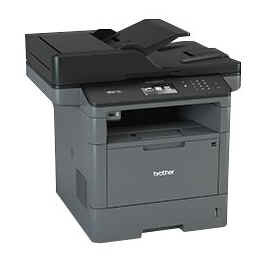 Adding a Fax to a Refurbished machine is usually $250-350, if available. Adding extra paper trays to new machines is usually $300 per tray. Adding extra paper trays to refurbished machines is $100-150 per tray. 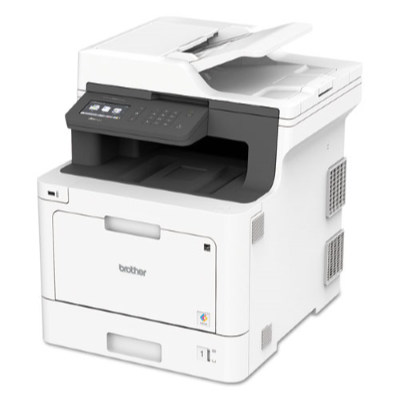 COPY TECH COMPANY is the only Orange County copier dealer to bring you the best of both worlds — lower copying, printing and faxing costs — with superior service. Your satisfaction is our future business! Since 1985, owner Ken Nagele has maintained the highest standards of customer satisfaction with honest sales and service. Call him today for the no-nonsense honest advice on your copier/fax/printer needs that the other dealers rarely give. No "Xeroxeese" spoken here; just down-to-earth, simple business terminology. Be sure to read our FAQ page and our Message From The Owner.